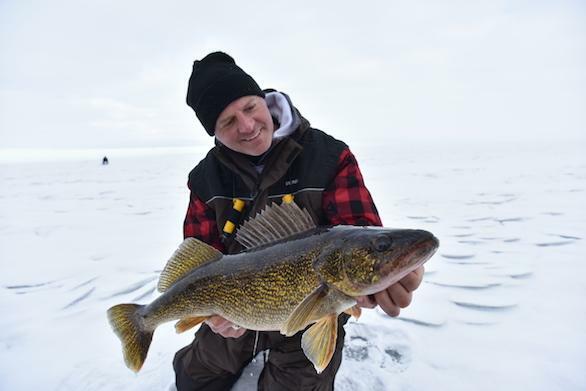 Plano, IL (Jan. 7, 2019) – Dale Stroschein is a jack-of-all-trades and a master of walleye. Leaving no stone unturned, Dale has done it all in the word of Walleye fishing. Dale’s credentials include guiding, pro tournament angler, world record holder, hall of fame legendary angler, seminar speaker, television personality, product developer, and pro staffer. 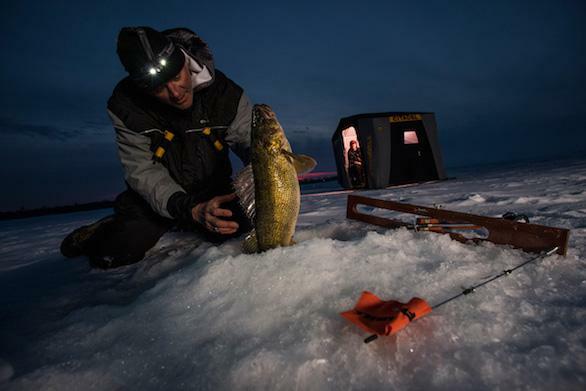 Dale Stroschien is walleye fishing. The son of Sturgeon Bay, WI resort owners Bill and Ingrid Stroschein, Dale Stroschien answered the call to the wild at a young age. At 20, he started guiding and opened the Wacky Walleye Guide Service in April of 1985 in Door County, WI. Taking customers out on a 13′ boat he hauled around on a homemade trailer, Dale was destined for an angling career. Dale began his pro-touring angling career a year later in 1986 when he joined the Midwest Walleye Circuit, the only traveling walleye circuit at the time. Six years later he would find new opportunities on the Professional Walleye Trail. Soon after, he would find himself fishing with another tour, the North American Walleye Anglers and would become the only pro-angler to ever hold big fish records in both circuits simultaneously. In 1995, Dale shocked the world when he caught the world record walleye in the ice fishing division for the rod and reel class on a Frabill Rod. Dale was a twelve-time National Championship Qualifier with 6 top 10 finishes. Also, he was a three-time Super Pro Qualifier, where only past champions and top money earners are invited to fish. Dale continued on both circuits until retiring from tournament fishing in 1999. He retired to become a full-time guide and to run his family’s resort in Sturgeon Bay, WI. After thirty years of guiding, tournament angling, television appearances, and over 300 seminars to date, Dale was finally inducted into the National Freshwater Fishing Hall of Fame as a Legendary Angler in 2014. Dale has made numerous appearances and contributions on countless local and national television shows and was the only ice fishermen to be featured in a coastal magazine as their “coastal character of the month” back in 2003. In 1988 a long lasting relationship between Dale and Frabill was formed. Over the years, their relationship grew at the Frabill yearly pro-staff new products meetings. Each year members help brainstorm new ideas and talk about what new products they were working on as a company. Dale has worked as a pro-staffer for many years, participating in ICAST and the St. Paul Ice Show. Not shying away from hard work, Dale does everything from set-up/tear-down to video interviews for media at events. Dale serves as an active ICAST pro-staff team member and this past year he helped work with engineers on new tackle boxes that are coming out in the near future. When Frabill brought on an engineering team, Dale immediately developed a strong bond with Frabill engineers and worked hand in hand with them on many products over the years.He helped develop and test three signature rods, the Ice Hunter 26″ combo and two recent signature series Walleye and Whitefish Rods. Dale has prototyped many landing nets over the years and most recently the New Trophy Haul nets. “Dale’s contribution to Frabill and Plano is much larger than that of a fisherman, he is a consummate professional and understands the business side as well as the actual fishing side of our sport. Dale is what you want in a pro-staff member and product development expert. we needed someone who was 100% honest, someone, who would say ‘no’ when products were not quite right and at the same time remain loyal and bleed your brand colors, regardless of the changes in business,” said VP of Engineering Ryan Kleckner. Dale Stroschien is more than just an angler, he’s a loving husband to his wife Karyn, father to daughter Kayla, fishing grandpa to Kason and Krew and timeless friend of Frabill. Thank you, Dale, for the way you represent fishing and for the way you represent Frabill, here’s to you. Frabill, Inc. has been trusted by anglers for more than 75 years to provide premium fishing equipment. Frabill’s ice fishing product lineup consists of portable ice fishing shelters, rod and reel combos, tip-ups, bait containers, portable aeration, and premium ice fishing apparel. Open water products include landing nets, portable aeration, bait containers, bait care, bait traps and seines, accessories, and premium open water F Series Storm Gear.